There are books that I have on my shelves that I've bought or been given that I really wanted to read ... only the books intimidate me for some reason or another. Do you ever feel that way about your books? I have a bunch of adult books that also intimidate me (the inspiration for this post came on a movie review of Cloud Atlas. There's a book I'm intimidated to read!) but I've chosen to focus on YA books for this post. Please do let me know if there are any books that intimidate YOU especially! I'd love to know that I'm not alone in this! I've actually started reading this book twice and given up before I'd gotten too far into it. The reasons that I haven't yet read further is threefold. The first, is how I feel about the notices from Death. They break the narrative up in a way that removes me from the story. The second is the size of the book. I'm not very good at concentrating on reading one book for such a long time. My mind wanders. And the third reason is that everyone raves about this book. There's such an overwhelming sense of disappointment that I feel when I don't enjoy a book when so many other people have. I don't like when it happens. I love Libba Bray. And I've recently found that I've loved reading historical YA. So this book should be perfect for me and yet there's still something holding me back from reading it. What is it? Is it the size of the book? It does seem like a bit of a doorstep, this book. I wish I could just click my fingers and get over this irrational phobia of chunky books. I LIKE reading long books, especially if the story and the characters are great and I really do believe I'd love The Diviners. I just need to get over my own issues already! Is this book considered YA? I'm not sure. I bought myself a copy years ago when The Hunger Games by Suzanne Collins was first published and everyone was all up in arms saying THG was a rip-off of this book. I don't know if it is or not, I haven't yet read it. I'm intimidated by the size of it mostly but also the large cast of characters. I don't particularly love starting a book in which I believe from the outset that it might be confusing. Then there's also the fact that I'm assuming the majority of these characters (school children!) will end up dead. It takes a certain kind of mindset to read such a book. I'm not sure if I'm emotionally ready. Maybe someday. 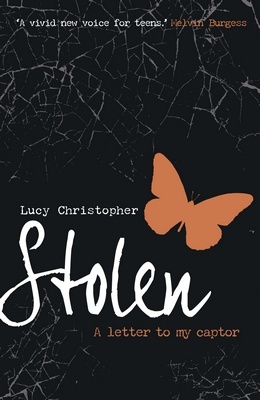 It was only as I was writing my Waiting on Wednesday post for Lucy Christopher's new book, The Killing Woods, that I realised that I'd had Stolen on my shelves for many a year unread. And the reason that it's unread is that I'm intimidated by the subject matter. I fear it'll be a really haunting and emotional book, one that might change me by the end of the book. And that sort of scares me. I don't know how ready I am for that sort of experience. If it's like that, I mean. Are there any books that you haven't yet read because you're intimidated by them? I have Beautiful Creatures to read as well! And both the size of it and the mixed reviews have put me off reading it as well. It's only been on my shelves for a few months though, which is why I didn't include it on this list. OMG.. i felt that way about The Book Thief. I almost did not read it. I found the whole dialogue with Death morbid and spine chilling. Ooh. I didn't. I felt more that Death's message stopped the flow of the narrative and shook me out of the story! Totally relate to this post! 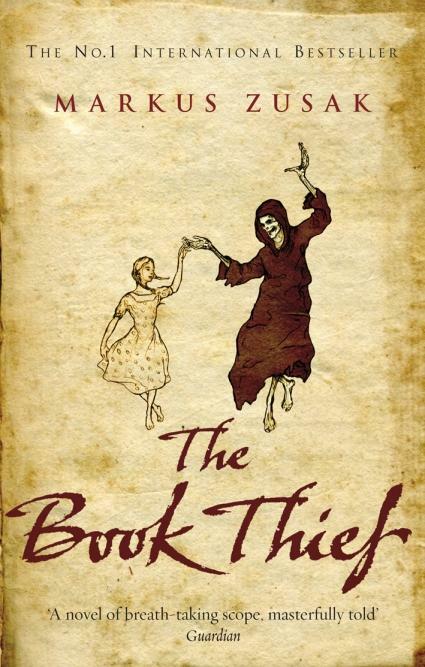 The Book Thief was brilliant but I can see why it puts you off a little. Also, Stolen is one of those books that is so dark and creepy, I genuinely don't know whether I liked it or not! Yeah, I've heard that about Stolen! And it makes me nervous! The Book Thief and The Diviners would also be on my list. 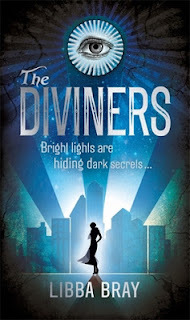 I've been wanting to read The Diviners since it was released but haven't even bought it yet. The Book Thief is stuck on my shelf and it seems really daunting. I haven't read many big books recently. Hope you get around to some of these soon! I worry that with larger books that I don't have the concentration levels to finish them in one go :( Which is crazy. I never used to feel like that! I love Stolen and it is definitely an emotional and thought-provoking book. I like that though about books though! Also, I loved The Book Thief but it's definitely a book that's for some more than others. Definitely. And if I have any doubts about it being for me or not than I obviously dither over reading it for YEARS. Sigh. The Book Thief is stuck on my shelf too but I've heard so many good things about it. On Battle Royale, The Hunger Games phenomena started when I started working at Waterstones. 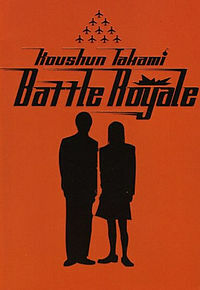 A few of my collegues had read Battle Royale and said they thought it was much more simpler than The Hunger Games. Also, yes, a lot of the school children die (I've seen the movie). I think only like 1 or 2 of them live, maybe? I've been looking around to see if I can find the film... I think watching it would give me a better understanding of whether or not I want to commit to reading the book.